Even though we have the upcoming nuptials involving the Dark Knight and Catwoman to look forward to, that doesn’t mean you have any good reason to skip an issue of Batman in the interim. If anything, it’s proven to be one of DC’s essential reads for the past year, as series writer Tom King churns out gold with each installment. Currently, we find ourselves in the midst of a story arc wherein Poison Ivy has taken over the minds of every living being on the planet, creating a bizarre utopia and attempting to craft a strange redemption story for herself in the process. 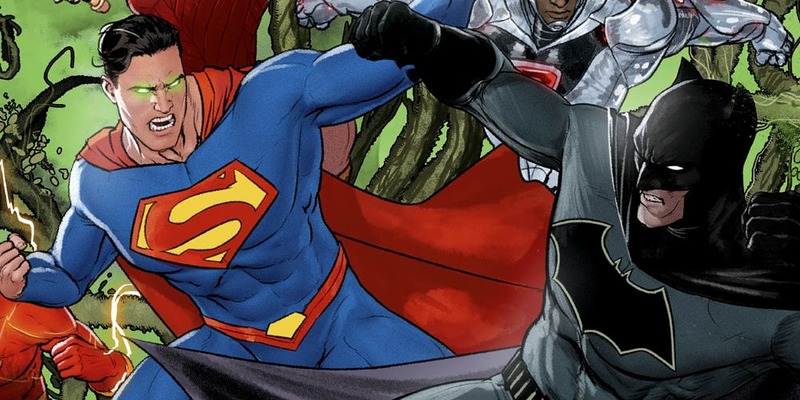 Of course, Batman and Catwoman are the only ones to have broken free of her grasp, but that also creates some hurdles in the form of a corrupted Justice League. Naturally, Ivy brings out the biggest gun of all in the form of Superman, who hovers over Gotham’s power couple whenever they leave Wayne Manor. Funny enough, this led the Caped Crusader to use the most bizarre of tactics we’ve ever seen utilized when it comes to taking down Big Blue. As you know, Superman has super hearing, which Ivy would easily use to her advantage. Now, as Bruce and Selina walked through the street, the former began whispering to the latter, all the while the compromised Man of Steel attempts to eavesdrop. And just when he’s supremely focused, Batman lets out a deafening whistle that causes immense pain for his best buddy and drops him to the ground. 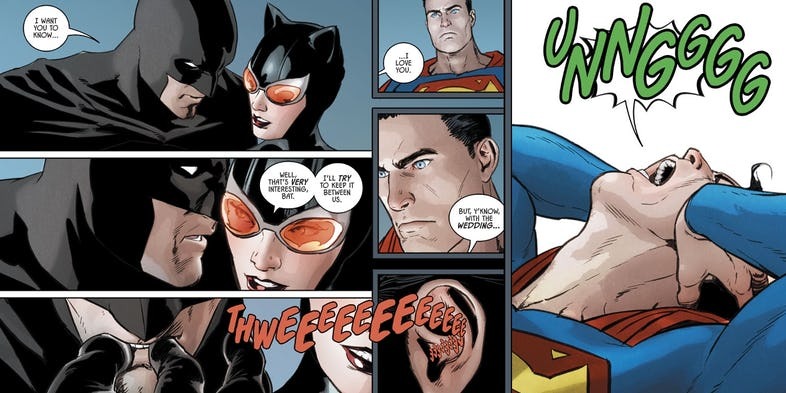 To be fair, Batman points out that this strategy would work only on Superman in a corrupted state, saying that “Clark knows when to listen and when not to listen.” In other words, it’d have never worked otherwise. Clever as this was, I can only imagine that it’ll be taken out of context and perverted by memes reading, “Did you know that Batman once defeated Superman by whistling?” Really, you know it’s going to happen, but we’ll just try to file it away with the various other great character moments that King has given us in recent memory. Batman #42 is now available in comic shops.